After looking around I noticed that photobucket has a mobile version of the website which is accessible with a mobile user-agent. I don’t know if the design there has changed along with main website design, if not then silly me for not spotting this sooner :/ It means this script would of worked even after the update… but there is a catch with this. Could you leave some instructions for the less savvy people such as myself? To use it you must install Python and need to have some knowledge for using the command line (windows) or the terminal (linux). Typically after installing Python, you open up cmd and cd to the script location, then just run “python “. Thanks for your hard work on this. If this still works, I Would love a step by step for casual users. When you will install Python, download the PhotobucketGetter.zip and extract it somewhere (let’s say on your desktop). Next open up Command prompt (Start -> run -> type in “cmd” and press OK). For the next step you’ll need to know how to navigate the command prompt. Usually you just need to type in “cd desktop/photobucketgetter”. In short you need to use the CD command to navigate to the PhotobucketGetter folder where it was extracted. Thanks for your guide. I got it working and it works great. I believe this is the only working method right now. Well done! I keep getting this error after running the command with the url. Can anyone point out what I am doing wrong? *edit never mind was typing it in wrong. lol thank you so much for this tool. I have the same problem as Ven, but I don’t know what I am “typing in wrong”, as he didn’t elaborate on his solution. Also, what would I type into the IDLE Python GUI to run this? With IDLE you can’t define arguments, you will have to use the command prompt. This is SO cool. I look forward to checking out the rest of your blog! Awesome tool! thanks! Hopefully it works for me. But just a question. What if the user i would like to download photos from did not put the pictures into albums but instead threw them all in the bucket? What should i put as the parameter after http://s1228.photobucket.com/user/someusername/library/ ? That I’m not sure of, I never encountered a PB user without any albums, I thought the pics are put in some general album by default…? Well, it’d be very helpful to have the actual link you want to download so I can check it out and tell you. Hey Jose. The script seems to work for every album in your provided photobucket WHEN you remove “?sort=3&page=1” from the URL at the end. Terminating with message .urlopen error [Errno 11004] getaddrinfo failed. ive even tried typing the url without the quotation marks, and i still get the same error. can you tell me step by step how i should do it? Usually the quotation marks are needed if the URL contains spaces. However, your URL is working fine for me. I can only suggest you reboot your computer and try again, if it still doesn’t work, try on another computer, or even a different network. This is not a flaw in my project, there is something wrong with your settings or the network overall. Before you do any of that, make sure you installed “Python 2.7”. I want to say a massive thank you for making this program. It has saved me the very tedious task of having to manually download over six thousand photos. I also wanted to post a warning for others that are having trouble downloading albums. If your URL contains a space you need to have an encoded space (%20), this isn’t a problem if you right click and copy your URLs, but if you manually type it and use “/New Album” instead of “/New%20Album” you will get an error. You are most likely using a python version different than 2.7. It has to be 2.7 or less. Python3 has a different syntax and so my script will not work with 3rd version. When attempting download from any account :(. Seems to me that they completely removed mobile versions of the website, that’s why my script breaks. lol Damn. I was getting ready to download my second gallery. Over one thousand photos :(. The mobile version is still there, it has just changed. As you know going to “m.photobuct.com” takes you back to the main page, however, if you then go to a persons photobucket gallery it loads as the mobile version. The full site and the loaded mobile version both have the same front end URL. I noticed a couple of cookies from photobucket with the word mobile. After deleting the “pb_mobile” cookie and reloading the mobile gallery I was in, I get taken to the full version. Deleting all the other cookies doesn’t change the sites mode. Yeah, the mobile version is there. However it’s completely changed to be like the main site. So either way my script is broken :( sadly I don’t know when I’ll get around to doing it again… sorry. I’ll do it someday though :D check back from time to time. Do you happen to have a solution for this? First of all, the album you are trying to download is private and requires a password which you much provide. Second, the script does not work anymore, because PB was updated and so my old method stopped working. Read the blog post for more information. 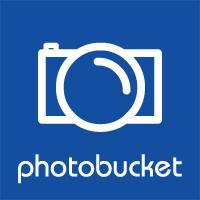 This Photobucket album downloader is made by myself. No we don’t like to pay money for free photobucket downloader :-(!!! Does the extension even work? Can you download private? Only the author can tell you that, in the description it doesn’t mention such a possibility.